Simplified Genetics, a full sequence genetic testing and analysis provider in Dallas, TX., has developed a revolutionary solution to weight loss and fitness optimization which will undoubtedly change the future of the industry. The most recent Gallup Poll shows that the 2014 American obesity rate has climbed to a record 27.7%, and this new scientifically proven solution may be the key to ending this epidemic. What is SimplyFIt? SimplyFit is a full sequence genetic DNA test which can tell you, with 99.9% clinically proven accuracy, the exact road map to an individual’s optimum fitness and weight loss potential. A simple swab collects cheek cells, it is sent to the Simplified Genetics’ lab at LSU, the DNA is analyzed and the genetic markers are identified. Within a few weeks, the individual is presented with a full breakdown of what his or her body needs to eat, do and take in order to achieve optimal physical results. Everyone’s body is different, and through this full sequence genetic test, the guessing game and the one-size-fits-all approach to fitness and weight loss is eliminated as the program is catered exactly to the individual’s DNA. Genetic testing, until this time, has been used to diagnose or rule out hereditary disorders or diseases, and it is a scientifically proven fact that DNA dictates gender, hair and eye color, height and body type, etc. It is no different for weight loss, exercise, diet or any health regimen, and Simplified Genetics believes every person is entitled to access and utilize the information contained in his or her DNA. 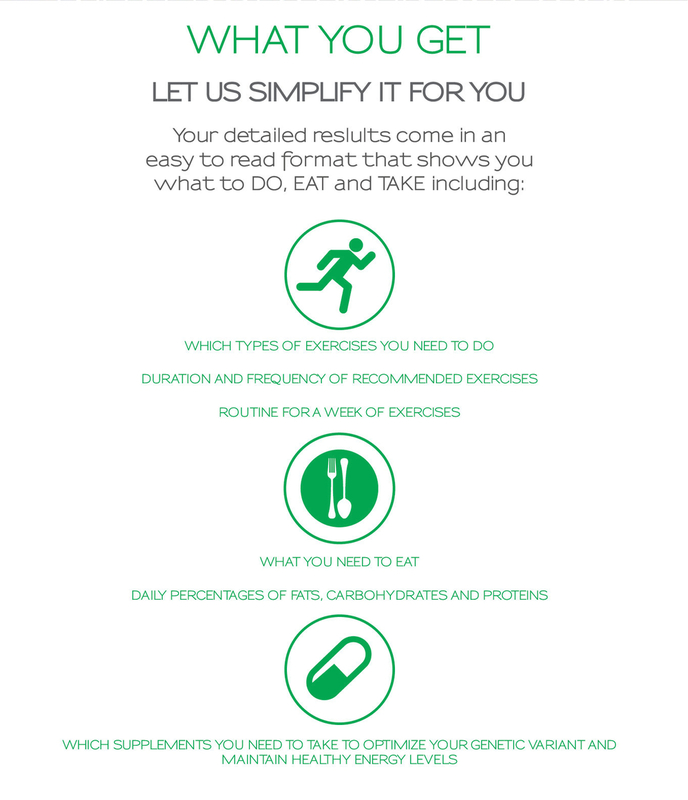 On the forefront of health and wellness, Simplified Genetics’ genetic testing is now available to uncover an individual's metabolic requirements, paths to weight loss, athletic peak performance, and can even help to avoid and prevent childhood obesity; it ultimately creates the platform for anyone to reach their optimal health potential.